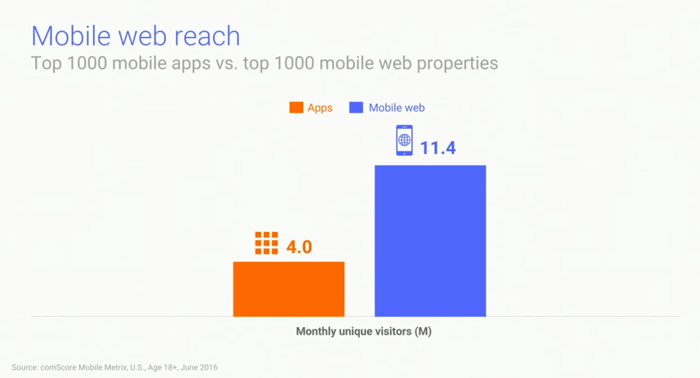 Home Blog Progressive Web Apps – What Are They and Do I Need One? You might not necessarily know what a progressive web app is, but you’ve probably used one before. This hot new term is on the lips of every app developer. But for users it’s sometimes hard to understand exactly what they do. 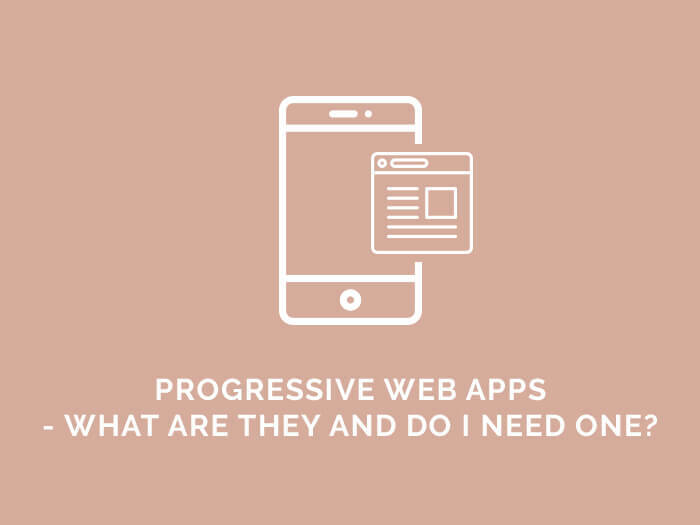 In this article we’ll dig deep into what makes a progressive web app, whether you should create one for your company and if it makes sense to abandon other types of apps. So let’s begin with the fundamentals. Firstly, it helps to understand what a web app is. At its most basic, it’s an application that runs in a browser. So for example Gmail.com or Ebay.com are web apps. You can access them (from Chrome, Edge, Firefox etc…) and perform certain tasks, even on your phone. You’ll be able to check messages, bid for an auction and generally go beyond reading text or looking at images like on a standard website. App-like – They must feel like an app with app-style interactions and navigation. Re-engageable – They should make re-engagement easy through features like push notifications. Installable – Users should be able to “keep” apps they find most useful on their home screen without the hassle of an app store. So going back to our example of the Gmail and Ebay websites, you’ll notice that they miss key features. You can’t access them offline, and you can’t install them on your phone’s home screen – which is something you can do with their native apps. So now you may be wondering: what’s the point of a progressive web app when I can get users to download the native app instead? It is a valid question. Both have their pros and cons as you’ll see in the table below. SEO The app’s content doesn’t get indexed by search engines Full indexation of the content You can index the main page where your web app is, but not every single section of the app. Telephony features: SMS or calls, send SMS/MMS, get phone numbers etc. Apple is only slowly showing support progressive web apps. Hold on. Does it mean that web apps aren’t fully progressive if they aren’t supported on all browsers? Technically it does, but the answer is a bit more complicated, because most of the features still work on iOS. 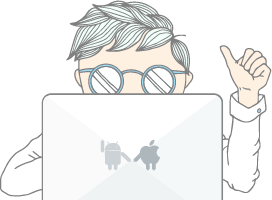 For more information on the restrictions by Apple and their history, you can read this excellent post here. GoodBarber has been at the forefront of PWAs for quite some time. We tested one and were honestly surprised by how good the results were. But now, following the trouble with submissions to iOS, many other platforms followed in their footsteps. 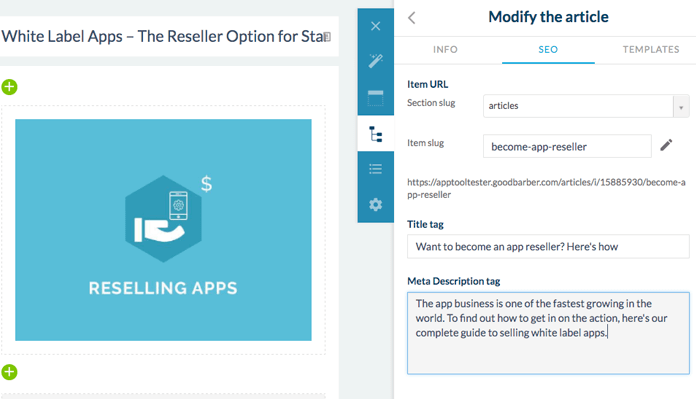 This includes AppInstitute, BiznessApps AppYourself and AppyPie, amongst others. In any case, you can see how PWA features look in GoodBarber, as you will get the option to add SEO keywords to your pages. Please note that you cannot send push notifications yet in GoodBarber, which just adds to the restrictions vs native apps. They are apparently working on this feature for an upcoming release. However, one big plus is the way GoodBarber handles the app design. We’re usually unimpressed by web apps, but we have to say GoodBarber’s solution is very efficient thanks to their home screen which mimics a website landing page with menu. If you are starting a new project or company, GoodBarber (free trial) could be ideal. Provided your needs are simple enough, you could get a progressive web app and website for the price of one. For an idea of what this could look like, check out our progressive web app demo and here: https://apptooltester.goodbarber.com. So should I go for a progressive web app? Progressive Web Apps are a fascinating format, but in a strange position. Google calls them revolutionary. Apple is pushing back against them. Developers seem to like them, but only as an improvement over basic web apps, and still in direct competition with native apps. And they’re certainly not as important as having a good responsive website. We think the reason progressive web apps are so confusing is that they’re at a kind of hybrid stage between a website and a native app. They aren’t exactly a game-changer, and just a good step in the right direction to make apps more accessible to everyone thanks to the World Wide Web. But when people think of apps, they still picture “native apps” so the competition has a long way to go, especially since Apple is focusing its efforts on the App Store. However, it’s worth noting that you would be in good company with a progressive web app. In fact, a growing number of large organizations are completely abandoning native apps in their favour. The Financial Times and the Washington Post are shining examples. You can also find a lot more cool examples of what they can do here: https://pwa.rocks/ (but don’t expect to be able to make those with an app maker). Questions? Feedback? Just get in touch below!